Air Chief Marshal BS Dhanoa had been asked about Pakistan's recent boast of short-range nuclear weapons to counter India's "cold start doctrine". Air Chief Marshal BS Dhanoa said decision on Air Force surgical strike should be taken by government. 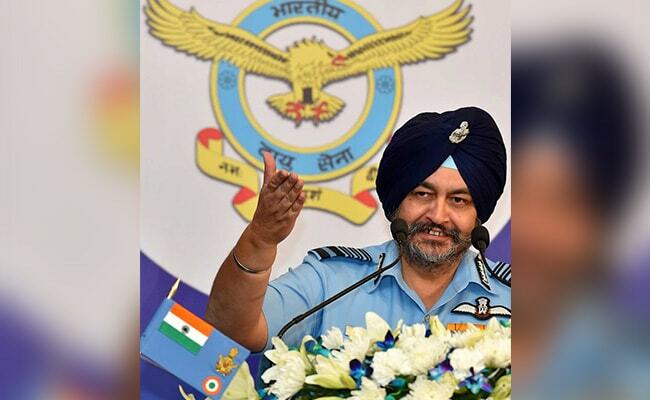 The Indian Air Force has the capability of locating, fixing and striking across the border, Air Chief Marshal BS Dhanoa today said, adding that any decision on a surgical strike would be taken by the government. He also asserted that India is prepared to effectively counter any threat from China while confronting a two-front war also involving Pakistan. "We need 42 squadrons to carry out full spectrum operations, but it doesn't mean we can't fight a two-front scenario. There is a Plan B," he said at a press conference ahead of Air Force Day. The Air Chief was responding to questions about Pakistan's recent boast of short-range nuclear weapons to counter India's "Cold Start doctrine" and also on the Doklam standoff that ended in August. The "Cold Start doctrine" is a strategy to avoid a full-blown war using a low-intensity offensive. Air Chief BS Dhanoa said Chinese forces are still present in Tibet's Chumbi Valley. "As far as the IAF is concerned, it has the ability to locate, fix and strike and that is not only for tactical nuclear weapons but for other targets across the border (as well)," he said. 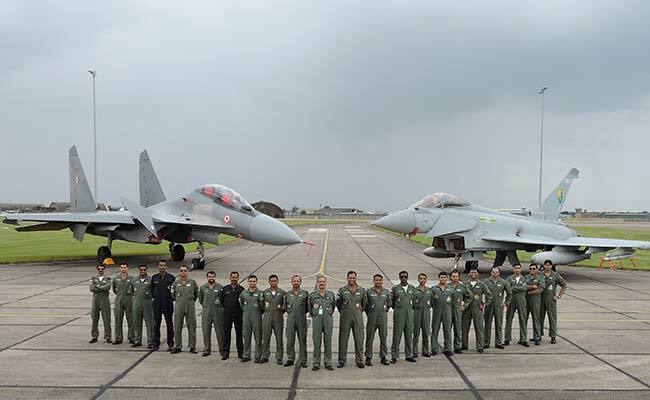 "The IAF is prepared to fight at short notice in full synergy with other two sister services, should the need arise." Army chief General Bipin Rawat had said last month that the country should be prepared for a two-front war, stressing that China had started "flexing its muscles" and there seemed to be no scope for reconciliation with Pakistan, whose military and polity saw India as the adversary. Air Marshal Dhanoa said the possibility of a two-front war in the current geopolitical scenario is low. But the Air Force is "ready for full spectrum operation", he said. The Air Force would achieve its sanctioned strength of 42 fighter squadrons by 2032. Referring to the Doklam standoff, the Air chief said Chinese forces are still present in Tibet's Chumbi Valley and have not withdrawn completely. "We expect them to withdraw," he said. The Chumbi Valley is north of Doklam, where Indian and Chinese troops were locked in a lengthy standoff after India sent troops to stop China building a road. Doklam is remote, uninhabited territory claimed by both China and India's ally Bhutan.